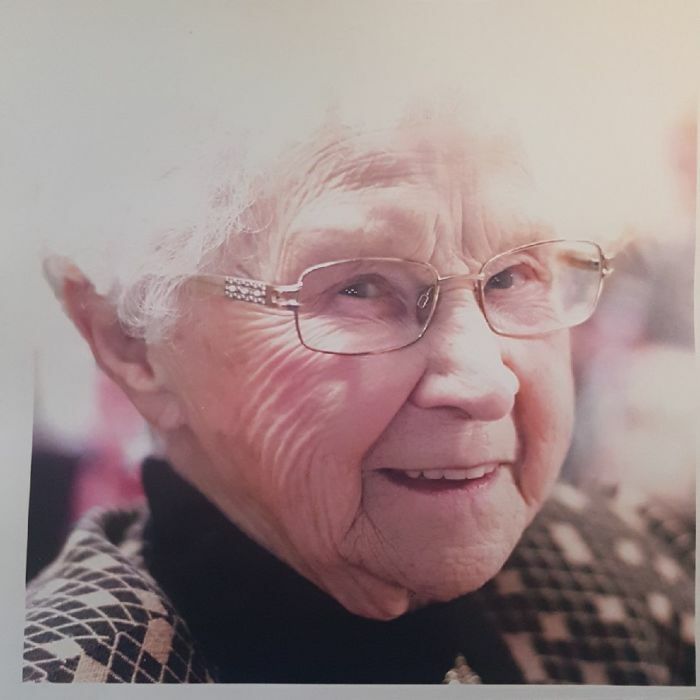 It is with great sadness the family announces that Margaret (Nee McInnis) passed away peacefully on Wednesday November 21, 2018 at Hospice Simcoe, Barrie, Ontario at the age of 92. Predeceased by husband Ray, mother Gladys McInnis and father Walter. She had four siblings, Neal, June (Smith), Cecil and Vernon McInnis, all predeceased. Margaret had nine children. She is survived by 5 children, Mark Heaslip, Tracy Heaslip (Lesley), Amber Morrison, Heidi Bidwell (Peter), and Guy Heaslip. Predeceased by children Charlotte Maclean (Norm), Pamela Krueger (Dale), Jody Heaslip and Margo Beecroft (Harvey). Margaret was grandmother to 17 and great-grandmother to 10. In keeping with Margaret’s wishes, cremation has taken place and no services will be held. As an expression of sympathy, memorial donations may be made to Hospice Simcoe or to a charity of your choice.